We all have things sitting in a pile somewhere that we should probably throw out. It could be a phone bill that got filed away with important papers or a useless trinket given as a gift that would be rude to put out with the rubbish. For a small but increasing number of people, however, those items imperceptibly add up. Like the proverbial frog in a pot of water being slowly brought to a boil, they lose the ability to notice that their surroundings have become untenable. In the most extreme compulsive hoarding cases, people die from an inability to get out of their own homes or felled by diseases caused by unsanitary conditions. 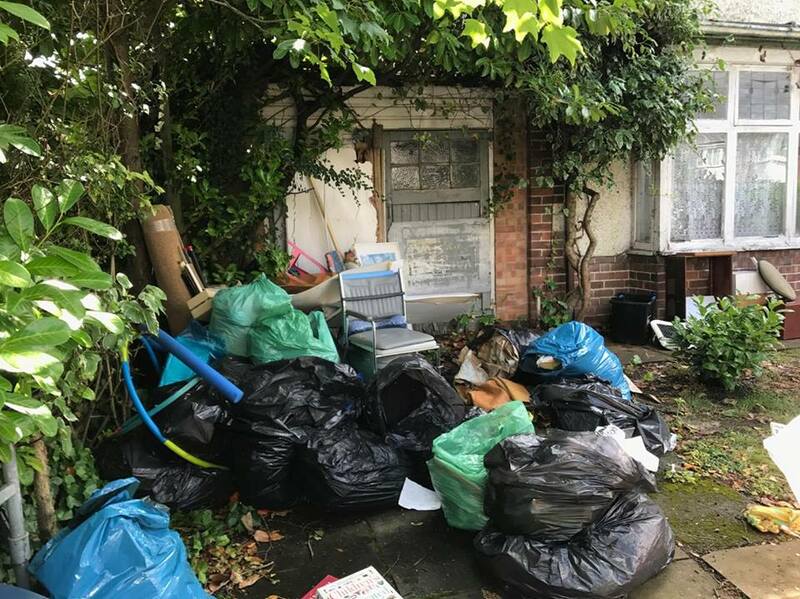 Though not usually lethal, compulsive hoarding is always an overwhelmingly sad circumstance where otherwise normal people withdraw from society and prefer to spend their time secluded in the dense clutter they’ve created, usually to insulate themselves from some underlying trauma. Hoarding disorder is a real psychological condition that any family member, friend, or just a kindly neighbour should be on the lookout for. Thankfully, compulsive hoarding is a disorder that can be managed and treated. These are the signs that you should watch out for and ways to get help for you or someone you care about. Read: Our Wylde Green Hoarding Clearance – Not for the feint of heart! The modern phenomenon of hoarding started with perhaps the most severe case on record. Homer and Langly Collyer both died in a New York City Brownstone, one crushed by thousands of kilos of rubbish, the other starved because he could not find his way out of the house. The Collyers’ story took a turn for the worse when the elder brother, Homer, went blind. The younger brother, Langley began caring for his brother. Believing that his brother’s blindness could be cured by a diet high in vitamin C, Langly began feeding his brother 100 oranges a week and collecting newspapers for his brother to read when he was cured. When neighbours began to complain about the Collyer’s unusual behaviour and rumours of hidden riches spread, Langley began building booby traps to keep others out of the house. In 1947, neighbours finally called police to alert them to the smell of a rotting corpse coming from the row-house. Days went by before they could even clear the foyer. Eventually, an officer scaled the building and entered a window on the second floor. Once inside, they discovered the body of Homer, who had recently starved to death. Strangely, officials realised that Homer’s body had not decomposed enough to generate the kinds of odours neighbours had complained of. In the meantime, Langley Collyer had gone missing, and officials assumed that Homer had starved while his brother was out of town and unable to care for him. As officials sifted through what would eventually turn out to be 100 tons of rubbish at the Collyer house, a man hunt went into effect to find Langley, with sightings reported in nine states. Both mysteries were solved at the same time when Langley’s body was discovered, crushed by thousands of kilos of debris unleashed by one of his own booby traps. It took authorities a shocking 18 days to find Langley despite the fact that he died only 10 feet from where his brother Homer was found. Handling compulsive hoarding in friends or family is inherently challenging. People have a right to their eccentricities and to be a little less than cleanly, and finding the line between an excess of clutter and a psychological issue is difficult at best. Thankfully, there are warning signs that can put family and friends on notice, and perhaps enable them to nip the problem in the bud. According to the International Obsessive Compulsive Disorder Foundation, the average person seeking treatment for hoardin disorder is about 50 years old. However, according to the Mayo Clinic, hoarding tendencies typically become visible between 11 and 15 years of age and get worse over time. One of the key factors to realize about compulsive hoarding is that it isn’t motivated by laziness or giving up on cleanliness. For many people, the primary issue is indecisiveness. Some hoarders fear any given item may become necessary in the future and not wish to throw it out. Others cherish and value their items and become upset at the idea of throwing anything at all away. It’s also key to distinguish collecting from hoarding. Though hoarders may amass specific items, such as religious items, newspaper, and even animals, hoarding is very different from collecting. Collectors tend to know exactly what they have, what their most valuable items are, and enjoy displaying and talking about their collections. Hoarders, on the other hand, have so much that they’ve given up on organization, collect regardless of quantity or value, and typically are ashamed of the volume of their possessions. We’re all sheepish about letting friends into our flats when things are a bit messy, but hoarders often take this to the extreme. In one particularly awful animal hoarding case, a mother responded to neighbor complaints of a god awful stench by putting plastic, insulation and duct tape over the windows and doors to keep the odors inside the home. In almost every case, hoarders become very reclusive, not only withdrawing from society, but leaving the house as little as possible. Some hoarders have been known to have food and other necessities delivered and left on the front step or in the hallway rather than risking allowing someone to see their mess. Finally, one of the biggest hallmarks that hoarding has become a disorder and has become problematic is a lack of living space, according to the Anxiety and Depression Association of America. Hoarders will eventually allow the clutter to overtake their home, shutting themselves into ever smaller quarters to make more room. This gets especially dangerous when bathrooms and kitchens are rendered unusable and situations become unsanitary. Extreme hoarders may also cope with broken appliances or even a lack of heating in order to keep repairmen out of their homes. These are clear signs that an intervention is necessary. In many cases, all of this compulsive hoarding behaviour is triggered by some traumatic event. As such, a prototypical hoarder would be someone who has always had a tendency towards clutter and indecisiveness, who went through a traumatic event, and who then started leaving the house much less and refuses to let anyone in their home. Sometimes, all it takes to avert catastrophe is to get such a person to let you in their front door. 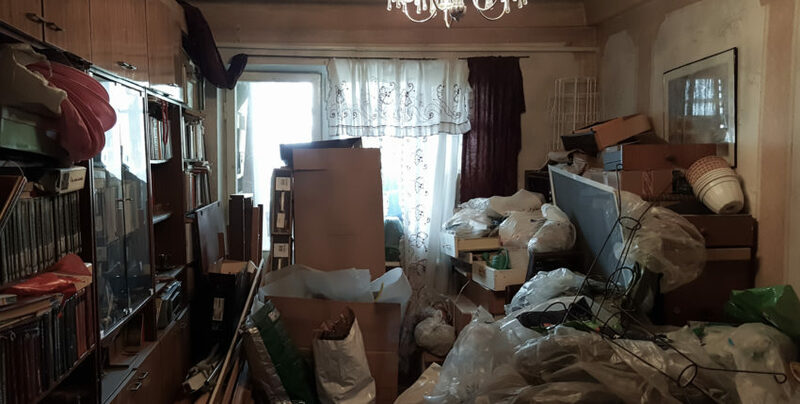 Though it seems daunting, cleaning out a hoarder’s house is the last and one of the easiest tasks, as a good house clearance company will be up to the task. The most important thing is finding the right help to get people living in these situations out of harm’s way. In less severe cases, help may be possible with the urging a friends and family. It should be stressed that nothing will be thrown away without the owner’s permission. As in many other instances, the motivation to make change must be genuine, and making the hoarder think that getting rid of a few things was their own idea can be a successful trick. In some cases, once a hoarder starts throwing things away, they’ll keep going and get almost back down to a normal level of clutter. However, in other cases, the psychological delusions are too great for a simple friendly offer of help, and professional services are needed. When it doubt, it’s best to ask a psychological professional for their opinion. It is preferable to try and take a gentle approach, such as staging an intervention with a therapist. Given that a hoarding disorder is usually the result of an underlying trauma, forcibly removing a hoarder from their home or having their house cleared while their at is dis-preferred, as this will likely create additional trauma. However, in very extreme cases where the person is in danger of physical harm, such a dramatic approach may be necessary. In these cases, the local authorities including the police, fire department, and building department should be able to help. As with any case where a person refuses treatment for their hoarding disorder, the situation is always emotionally difficult. If you’re wondering how to stop hoarding it’s important to keep two things in mind: First, that it is not for us to impose standards of cleanliness on others, and second that this condition can literally be deadly and the sufferer will very likely be much happier after receiving help.